Card was not recognized by Acer desktop with Windows 10. Giving it two star because it worked on a Windows 7 desktop. Purchased this for Unraid to add additional drives. Plug n Play no configuration needed or firmaware updates. Work great in my Pci-express 16x. Fast détection. Fast installation. No problem. PROS: Works great with Windows 8.1. I anticipated problems but there were none. CONS: Slightly annoying on startup because the program loads before the BIOS and displays an option to configure it. It delays startup of Windows by a few seconds. To me, having the extra two drives is worth the wait. 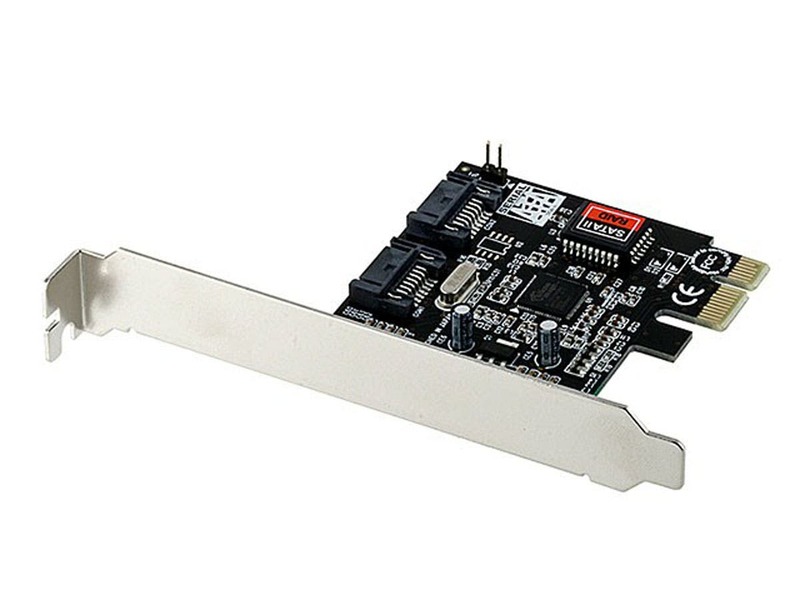 Can't beat it for the price, but don't expect high performance out of this Sil3132-based card. CONS: Slow! It's a PCI-E 1.0a single lane device, so it's getting a bit long in the tooth.. Perfect solution at a very reasonable upgrade for motherboards with only IDE for CD and DVD drives.. Must hace a PCI 1X slot though. I bought this card when I was in need of more SSD hard drive space. Rather than replace my 32GB SSD, I just bought another with the intent of striping the two drives together using this SIL3132 card. My MicroATX PC had one extra PCIe 1x port available, so it was a perfect fit. Well I got everything installed in a brand new high end machine, and this RAID-0 drive has read/write speeds of 149MB/52MB! So slow! The standalone SSD's could read 480 MB/s. I was expecting maybe a 25-50% gain, but I have a 66% loss. Any suggestions? Please reply! I have several of these installed in Elastix/Asterisk PBX servers running RAID 1 and have never had a problem with them. Thanks monoprice. I'm using this card on a WHS 2011 system and I'm very happy with it. WHs 2011 is built on 2008R2, but what works one, doesn't necessarily work on the other. 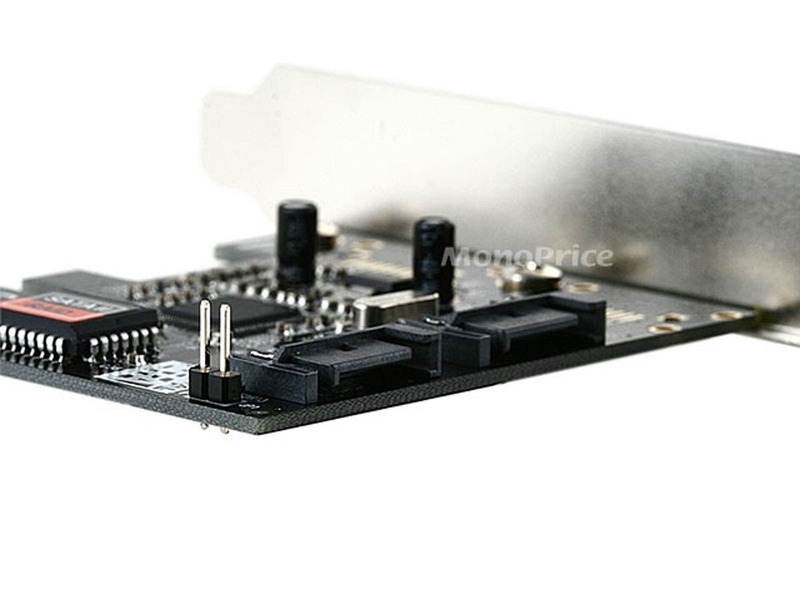 This card works well for a 2 port controller.